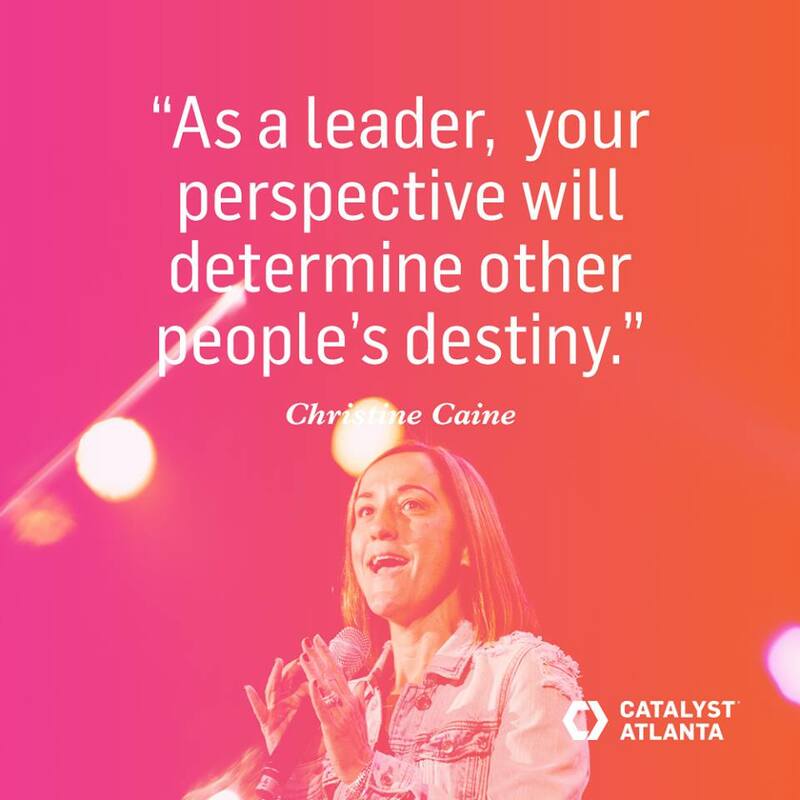 Her talk at Catalyst Conference was amazing. I’m going to break it down into 10 points. I am also including a highlight video from the conference, just to give you a taste of what it’s like to be there. Catalyst is my FAVORITE event of each year. 1.Don’t start anything that God didn’t tell you to. God will not sustain something He didn’t start. 2. The generation behind us doesn’t need us to be cynical. Stop comparing and criticizing each other in the church. We aren’t the enemy, the devil is the enemy. 3. We need to give people purpose and hope. The only way to do that is to be full of faith and the Word, then live it out. 4. Impossible is where God starts! If He told you to do it, He knew what He was doing. And He will do what He says. 5. Do not limit God’s power by the size of your giants! 6.The ingredients for a miracle are always in place. You don’t have to do it. God is doing it through you. 7. Doubt dies unborn if it’s never spoken. There is no problem too hard for God to solve. 8. Jesus never had compassion fatigue. We’ve got to rise up and show the world that our God is great! 9. Our “buts” are too big in the church. You can be in the middle of a miracle and not even know it. You can be missing your potential. 10. Jesus told us to lead people to Him. Therefore, we are all leaders. It’s not about self help, it’s about showing them God. 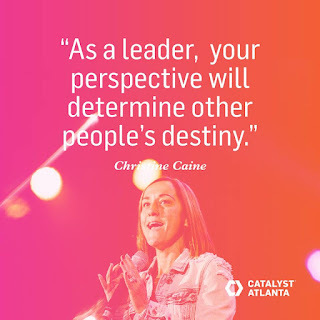 Your perspective will determine other people’s destiny. You influence how other people see God! That last bold sentence is why I write this blog. I feel like I’m supposed to help people see the truth of who God is. Not who they’ve heard He is. What I write is important, just like what you do is important! Honestly, we do need to be raising up the young adults and students behind us. This is the age of electronics. They are on their phones constantly. We need them to see God, watch Him move, and help them stay in a relationship with Him. You have influence, whether you believe that or not. You do not have to have children to influence a child, teenager, or young adult. There are plenty around you who need a Godly person to walk with them. Pray about that, ask God if He wants you to have someone in your life that you can mentor. It’s a good idea to always have someone ahead of you, that you can turn to and walk with, as well as someone behind you that you are helping walk with God. I am so thankful for the people who put Catalyst Conference together. I always learn so much and have a great experience. If you ever want to go, let me know!